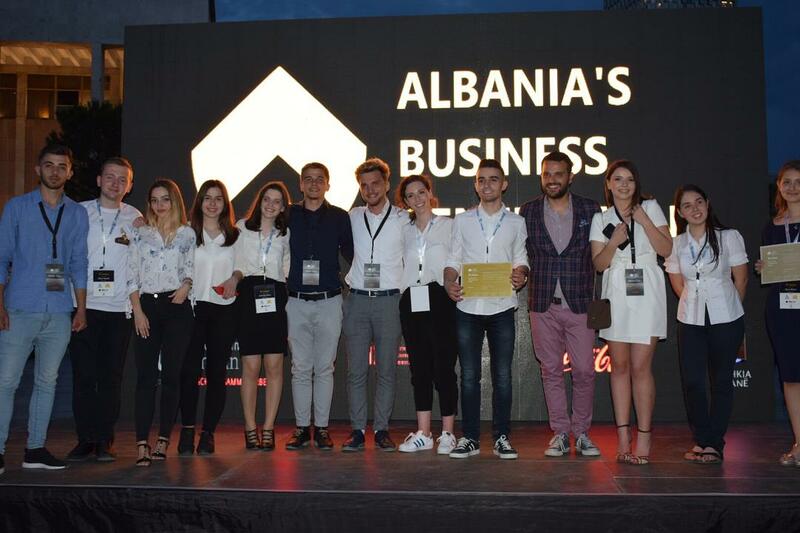 Who Is Empowering the Next Generation of Young Entrepreneurs in Albania? When it comes to entrepreneurship, almost everyone wonders how to create at least one successful business idea, but there are exceptions like Rodi, who wants to create an entire business generation of young entrepreneurs in his country. Given the high figures of high-skilled migrants that leave Albania, it sounds like no country for young men and women, but the interview with this ambitious and talented student seems to prove the opposite. Rodi, please tell us more about yourself and your background? I was born and raised in Tirana until the age of 17 when I got a scholarship and moved to Kokomo, Indiana in the United States. I finished the first semester at Minerva School in San Francisco while for the next semester I will be in Seoul, South Korea. I always liked entrepreneurship, but the turning point was in high school, during my first year in the US when I founded the school’s Entrepreneurship Club. In the meantime, I thought: ‘Why we don’t have these things in Albania?’ So that was the initial idea for the foundation of Albania’s Business Generation. The work for ABG started in March 2016 and it was launched in June. Since then I’ve been working with ABG in Albania. Besides the organization that has grown, we have three different programs, Tomorrow’s Entrepreneurs Tirana (TET) included. I worked in marketing for Minerva School and also as a remote blockchain marketer for a German company. How do you manage your time for doing all this? This is difficult especially when I’m in Albania and I need more time for my family and friends. There is no secret formula to manage time because it’s the type of work that allows me to do it remotely. What was your initial idea for ABG and how did it evolve? The Entrepreneurship Club in Kokomo, Indiana was the starting point. I had a passion for entrepreneurship and wondered why there were no clubs or camps for teens in Albania. I started with three friends based in Albania Bleona, Denis, and Kevin, who were very committed and active in school and in the community. We took the curricula, the main points, and organized a two-week camp. But we lacked experience, thus we got in contact will local organizations that could help as mentors. This was the start. We had two-week camps in June and July 2016. How did you promote your camp among the teens and high school students? Instagram was a key element. We also were high schools students and we knew the power of Instagram. It was not a highly professional campaign because we lacked experience, but it was a sincere promotion and we had large reach among teens. Did the participants have a clear idea like: ‘We are here to learn about entrepreneurship’, or they were just curious to try something new? All the participants were interested in entrepreneurship. The winner of TET was one of the participants in the first camps. The good point about the program was that it helped the participants to have a clear idea like: I want to continue the entrepreneurial path, or this is not for me. It helped to make a difference and teach teens if they were or weren’t ready for the various aspects of the entrepreneurial career path. We wanted to help people understand what they wanted. There were teens that found the inspiration and motivation to continue further. It was never planned that such program can turn a teen into an entrepreneur. On the other hand, it helps to take a step toward the path they like to pursue. 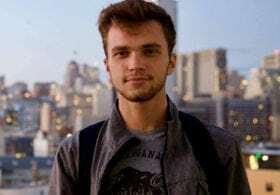 There were concrete cases of inspired teens like one boy that is trying to create his startup and he is working on an Albanian Encyclopedia for tourists that want to visit the country. 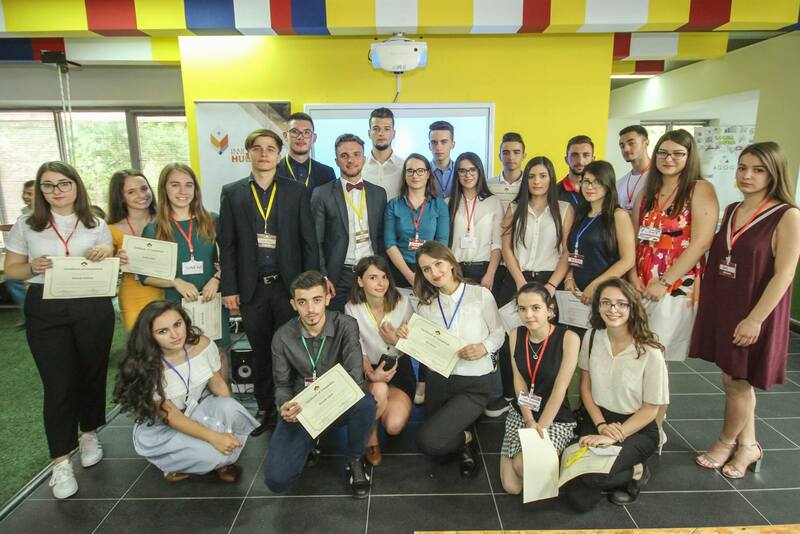 Based on your experience and on what you have seen in Albania, what is the skill that a young boy or girl must have in order to be successful in life, school, and even entrepreneurship? At first, they need exposure to good examples. This can be achieved at different levels. 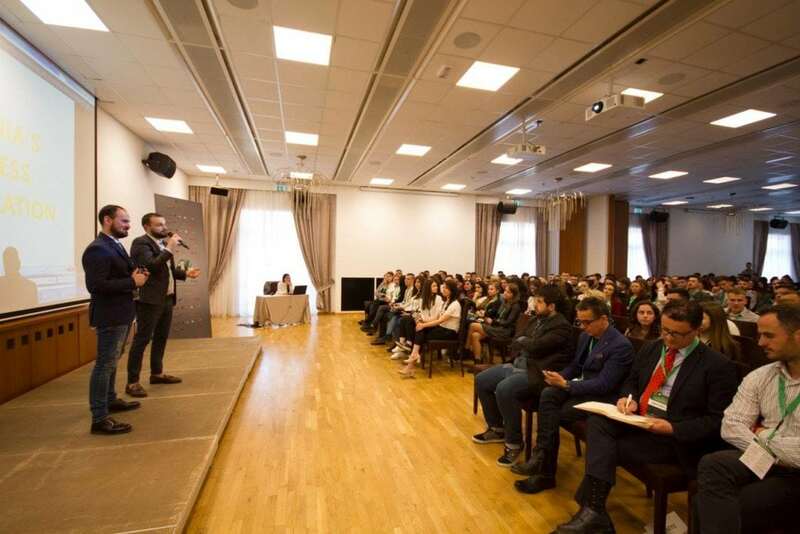 Albanian youth have the concept of entrepreneurship, but they are not exposed to concrete examples. Such examples might be local enterprises that are not too famous, but that are successful in what they do. There’s no need to mention only the cases of companies like Facebook or Google. They have to be exposed to concrete examples of success in Albania’s context and circumstances. Examples like Elon Musk are beautiful but they aren’t related and the context is different. They need something that is tangible and exposure at an early age. This was the key pillar that we wanted to tackle. Have you ever thought about the social impact of what you are doing? Let’s take the example of children that come to the capital from rural areas and sell various agricultural products like fresh fruit, or eggs. Why not include the curricula in the education program? This is the vision of TET. To be part of the high-schools curricula as a subject of choice. Currently, the participants meet three times a week and visit companies. In other days, specialists from the finance and marketing sectors are invited to teach them. TET is a long program and at the end, they make projects that are backed by a well-defined curriculum. We have a few contacts but in order to make it part of the curricula, it is required to prove its benefits. TET was done and completed, but a larger portfolio of achievements may be required. We are working every day to improve what we have done so far and we are also working on the vision of how to make it part of the school curriculum. Everything you do is related to young people, mostly teens, who on one hand are the people that dream to change the world and on the other, they can change mind after three days or a week. How can you help them to develop habits and not give up? What I can say about programs like TET is that they can’t be designed to serve to everybody. Not everyone can become an entrepreneur and this is OK because the world needs people in different sectors. We are trying to attract the teens that have the vocation to become entrepreneurs. They must have a spark. As long as they have this spark and we do our work we can help to ignite it more and help them pursue their goals. What can you say about TET? Each of the students worked with an individual business idea. Two facilitators assisted the student in every step and nine students made it to final with their own enterprises. What are the plans of the students that made it to the final? They created partnerships and almost half of them are related to companies and institutions, who want that their ideas make further progress and support them. What advice would you give to a young boy or girl that’s passionate about entrepreneurship but has no opportunities like ABG and TET? They should take advantage of the internet, join online portals, magazines, and newspapers. Once you find one of them, it’s easy to find many more. They have to learn more about the entrepreneurial world and how to be exposed to various ways that are impossible to reach in their hometown. The next step would be through practice. How to implement something that you would love to see happen in your country. It’s not meant to be something huge since the beginning. It’s important to take the first steps. When ABG started, there were a lot of people that wanted to support it because of the fact that we were young and they showed altruism. This can happen anyplace. Of course that there will be skeptical people, but young people have to try to make it possible at the local level. What are your future plans for TET? We are our own worst critics. This is our organization’s culture. We are looking into ways to change and improve for the next year and to bring the program to perfection. We are looking for support from the community and factors in the ecosystem. How do you try to promote your initiatives and gain support? Do you have something to say to our readers? If there are young or old people that want to get involved in entrepreneurship and have their projects but need someone to support them, they are welcomed to contact us. Because we were in the same situation two years ago. We would do the impossible to help these people.